It started back in October, and I'm not sure I've even posted here about it. 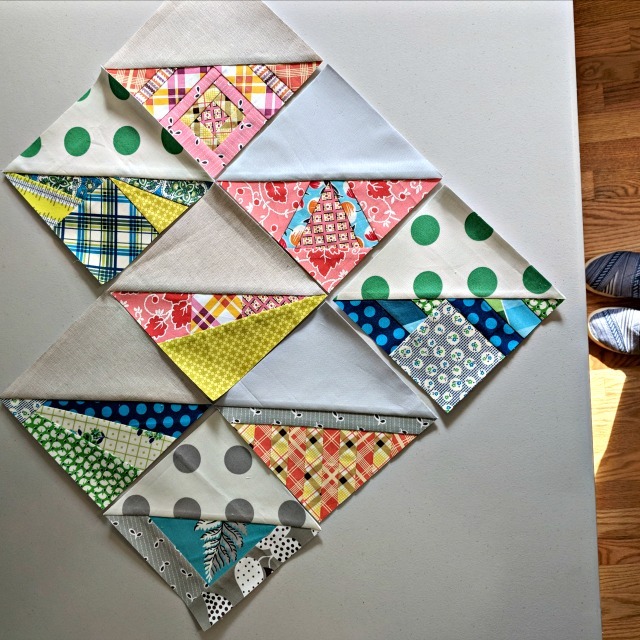 But Leila/Sewn by Leila started a Year of Scrappy Triangles, offering a free paper-pieced triangle block pattern each week. Admittedly, I've been inclined to make my blocks in batches rather than one a week - that's just how it's worked out. I'm only making one block of each design, so my finished project won't be that large unless I change my tack. Time will tell what I decide to do about that, if anything. Meanwhile, these 6 1/2" blocks are a nice diversion now and then, so I'll let it be that for now. Fun blocks. I can see how one could easily freehand them without the paper. Hmmm... something to think about. Well these are cool. You could always make it bigger by adding negative space instead of more blocks. How big is each one? Never mind, you said 6 1/2”. Read, Ellyn, read. They look like a nice diversion; I'd probably wait to do them in batches, too. Quit inspiring me!!! I'm kidding. These are beautiful. I've always found it hard to follow along and do one of anything a week! I'd do just as you are doing. I didn't realize there were so many blocks...I lost track of time! 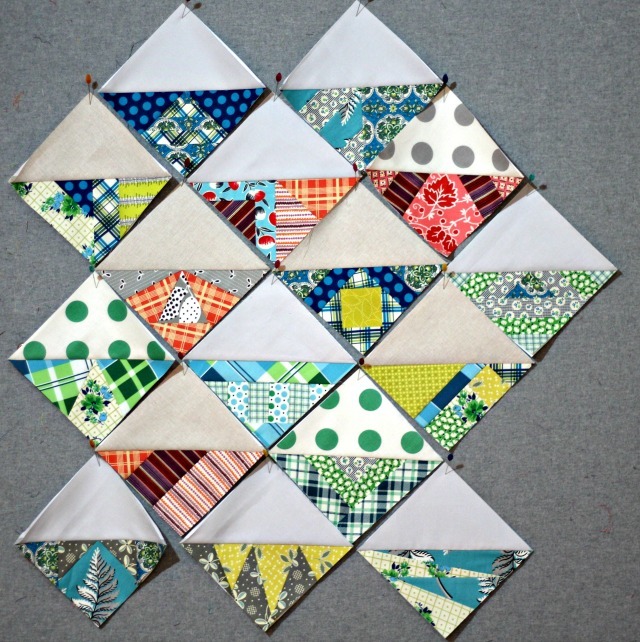 Very cool blocks - love your fabric choices. 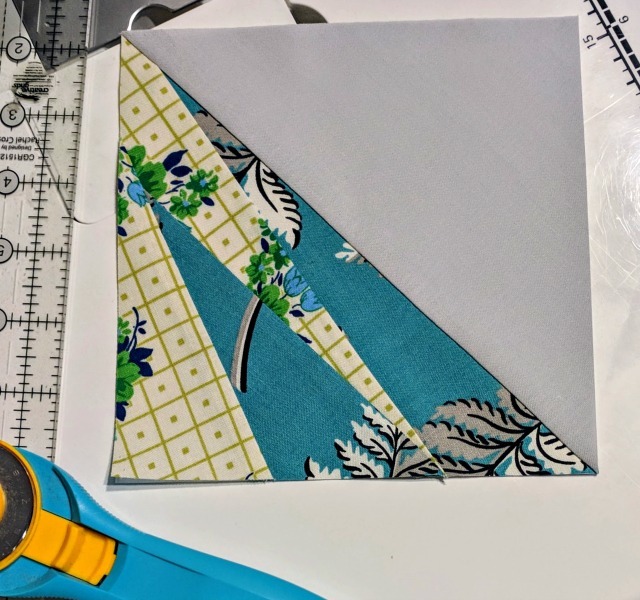 I also find it really hard to do one block every week and would most likely sew in batches like you.